Trust Christina Aguilera to have the perfect song for every situation. Over the course of her incredible career, the singer gave us lyrics that are perfect comebacks, lyrics to help you prep for a date and even music to help you mend a broken heart. Since Aguilera also has some girl power anthems, it makes sense that her lyrics also empower her fans. There's a reason Aguilera is a coach on The Voice. She uses her talent and experience to help her team-members grow in their own careers. Above all, she instills in them the kind of confidence only someone with her success can do. Fortunately, for those of us who aren't lucky enough to work with Aguilera on The Voice, we have her music — and man, does that deliver. From iconic songs like "Beautiful" and "Fighter" to the Mulan classic "Reflection," Aguilera is in no short supply of empowering songs. But we all have our days where we feel a little down, so I gathered the best of these empowering lyrics that are ready and waiting to be added to your next playlist. 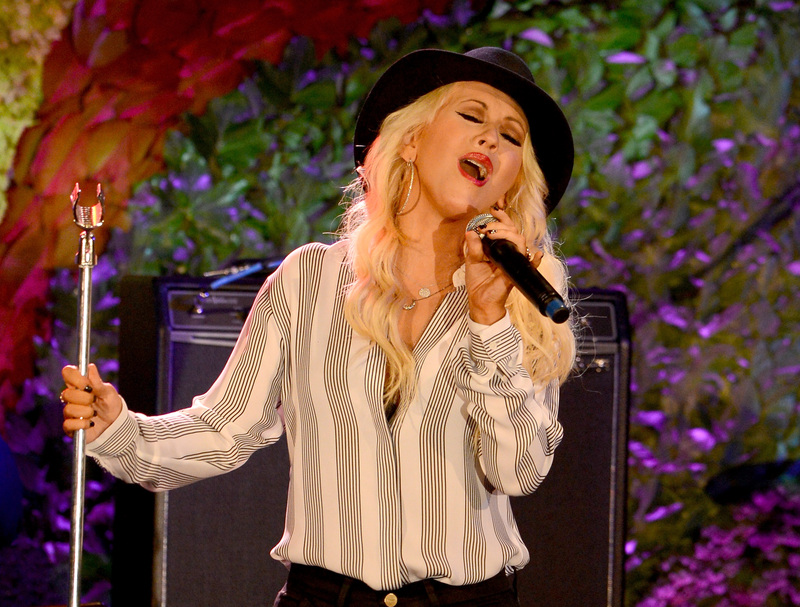 Get ready to feel a boost of inspiration, courtesy of Aguilera! 1. "I Won't Pretend That I'm / Someone Else For All Time." — "Reflection"
"Reflection" echoed the theme of Mulan: Staying true to oneself. 2. "Lift Your hands High And Wave Them Proud / Take A Deep Breath And Say It Loud / Never Can, Never Will, Can't Hold Us Down." — "Can't Hold Us Down"
Aguilera radiates confidence in this track as she reminds us that no one can tell you "no." 3. "Makes Me That Much Stronger / Makes Me Work A Little Bit Harder / It Makes Me That Much Wiser / So Thanks For Making Me A Fighter." — "Fighter"
The haters are gonna hate, but it only made Aguilera stronger. 4. "I Am Beautiful No Matter What They Say / Words Can't Bring Me Down." — "Beautiful"
This ballad is a reminder that your self-worth is not dependent on the opinions of others. 5. "Strength Is My Mother For All The Love She Gave / Every Morning That I Wake I Look Back To Yesterday / And I'm OK." — "I'm OK"
All of the lyrics to "I'm OK" are incredibly emotional, but these lines stand out as promise that you can make it through the tough times. 6. "And So I'm thanking You For Being True / And Standing By Me Through And Through." — "Thank You (Dedication To Fans...)"
This thank you from Aguilera is a nod at being grateful for all of the wonderful things in life. 7. "I Am A Blank Page Waiting For Life To Start." — "Blank Page"
"Blank Page" reminds us that there's always time for a fresh start, and that's pretty darn empowering.